This year the number grew from 45 to 100 Thanksgiving dinner meals. Rob Levine & Associates purchased all the ingredients at Shaws Supermarket in Chapel View in Cranston, RI. and the Shaw’s team helped pack the bags. 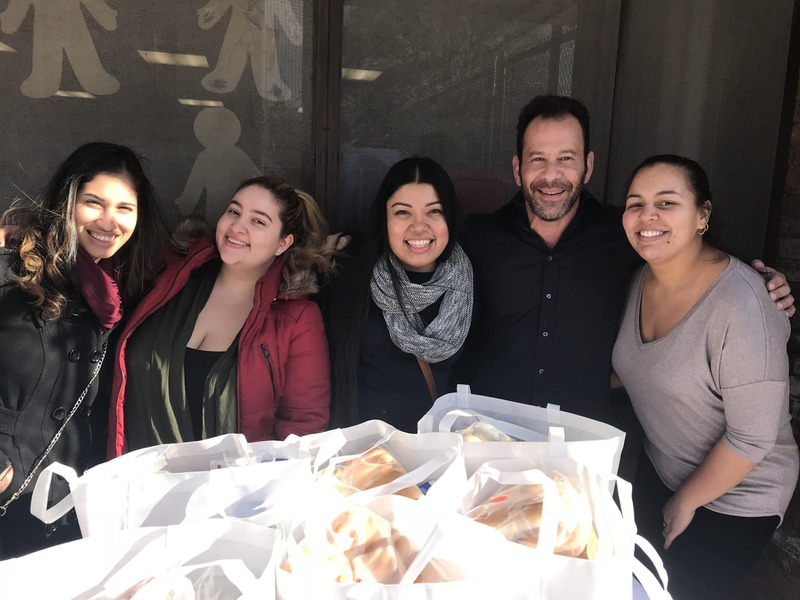 With a box truck and a willing team of volunteers, the Rob Levine and Associates team, made their way to the Captain Hunt and Robertson Schools in Central Falls, Rhode Island. Each family received all the ingredients to prepare a full thanksgiving dinner; including: turkey, mashed potatoes, butter, vegetables, rolls, stuffing, gravy, cranberry sauce, and pies. We know him as the Heavy Hitter and in his current occupation as an Attorney, helping individuals who have been hurt in an accident or who are disabled; but, many aren’t aware of Rob’s background. Rob’s Rhode Island roots started a number of years ago when he became a Police Officer within the Central Falls Police Department for many years as well as a public servant in a few other capacities (EMT and Ski Patrol). His background and focus has always been on helping those in need and giving back to the community in many different capacities as often as he can. Rob Levine and Associates are personal injury attorneys helping individuals who have been hurt in an accident or who are disabled. The firm practices law and services Rhode Island, Massachusetts, and Connecticut on injury cases. Rob Levine and Associates also handles social security disability and veterans disability cases on a regional and national level as well. If you or a loved one has been injured and needs legal help, please contact Rob Levine & Associates for a free consultation. Our Fee Free Policy means that you do not pay unless you win. Our experienced personal injury lawyers will review your case to help you understand what your next steps should be. Getting legal help can ease your mind and let your focus on getting better. Our team is available 24/7 to help you. Contact us at 800- 742-3940 or visit our website for more information.